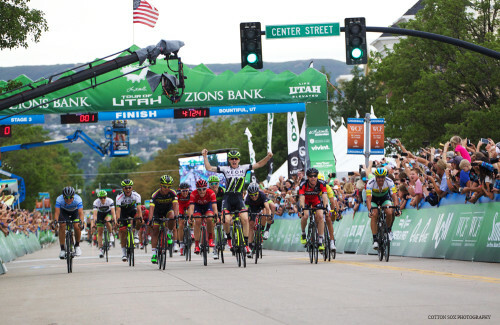 August 5, 2015 – Bountiful, Utah – Throwing his bike over the finish line, Axeon Cycling Team's Logan Owen (USA) won a thrilling sprint on Stage 3 presented by Zions Bank at the Larry H. Miller Tour of Utah. The 20-year-old American scored the biggest victory of his road cycling career in a time of four hours, 12 minutes and 40 seconds in front of huge crowds in the first-time host city of Bountiful. Runner-up Brent Bookwalter (USA) of BMC Racing Team claimed his second podium of the week. Edwin Avila (Colombia) of Team Colombia was third. Overall race leader Kiel Reijnen (USA) of UnitedHealthcare Pro Cycling Team finished seventh on Wednesday’s 107.9-mile stage and retained the Larry H. Miller Dealerships Leader’s jersey. Owen jumped to second overall on the General Classification and takes over the Subaru Best Young Rider jersey. Stage 2 winner Jure Kocjan (Slovenia) of Team SmartStop sits in third place on G.C., four seconds back. Fans were treated to an action-packed finish along the nine-mile circuit, which was lined with 3,000 American flags. Attacks and counter-attacks flew as riders sped around the circuit twice, which included the brutal Bountiful Bench climb. The main group, down to 45 riders, caught a lone escapee in the final dash to the line. Stage 3 presented by Zions Bank started at Antelope Island State Park, which sits on the largest island in the Great Salt Lake. Attacks occurred at the front as the riders looped around part of the island before crossing the seven-mile causeway to the mainland. After racing on the wide roads with speeds averaging 30 miles per hour, six riders managed to escape 18 miles into the stage. The breakaway included Joey Rosskopf (USA) of BMC Racing Team, Dion Smith (New Zealand) and Tyler Magner (USA), both of Hincapie Racing Team, Jasper Novenhuis (Netherlands) of Cannondale-Garmin Pro Cycling and Wouter Wippert (Netherlands) of Drapac Professional Cycling. Johann Van Zyl (South Africa) of Team MTN-Qhubeka presented by Samsung, soon bridged up to spend a second day off the front. “Today it wasn’t really the plan to go into the break, but somehow I ended up being there,” said Van Zyl, who crested the first two categorized climbs ahead of his breakaway partners and nabbed the Utah Office of Tourism King of the Mountain jersey for his efforts. Reigning USA Road National Champion Matthew Busche of Trek Factory Racing, along with a few other riders, crashed on the of Trapper’s Loop climb. Injuries would cause Busche to not finish the stage and abandon the race. The pace quickened in both the break and the field as the miles ticked away. The Hincapie Racing Team duo in the break accelerated to try and surprise the field but it wasn’t to be. The field, single-filed behind the UnitedHealthcare Pro Cycling Team, was trying to get as close as possible to the break before the first time up the Bountiful Bench. The break crumbled on the incredibly steep climb with only Rosskopf surviving at the front while the peloton behind shattered into smaller groups. 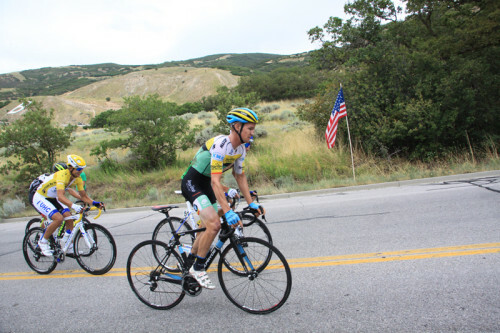 Rosskopf, who held a gap of 25 seconds on a six-rider chase group, was caught half way up the climb on the final nine-mile finishing circuit in Bountiful. Rosskopf admitted that he didn’t believe that the break could make it to the finish line. “UnitedHealthcare kept us at three minutes, no more all day. You can see when a team is riding like that that you really have a very small chance of staying away. I don’t want to sit up. And then I ended up making it over the climb the last time which helped the team. I had a couple of guys left in the front group,” Rosskopf added. Rosskopf was awarded the Vivint Most Aggressive Rider jersey. Fans chose Dion Smith (New Zealand) of the Hincapie Racing Team as the America First Credit Union Fan Favorite. 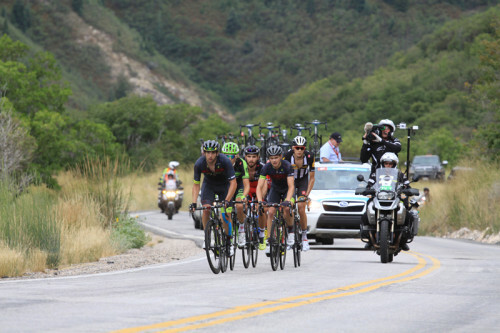 All four Utah riders finished the stage. Chris Putt and Tanner Putt finished 113 and 116 respectively at 16:32 back. Erik Slack finished in 105that 11:24 back, despite being hit in the face by a water bottle and suffering a bloody nose that lasted until the end. Rob Squire finished in the lead group in 27th position. Squire currently sits in 26th place overall, only 14 seconds off the leader. Look for him to excel as the roads steepen in the next few stages. Stage 4 presented by Subaru will begin and end at Soldier Hollow in the Heber Valley, the site of the 2002 Olympic Winter Games biathlon and Nordic events. The start has been moved from 9:30 a.m. MT to 9:45 a.m. on Thursday. In addition to an inaugural start/finish at this location, the race will head up Daniels Canyon and along the undulating terrain in Duchesne County for the first time. 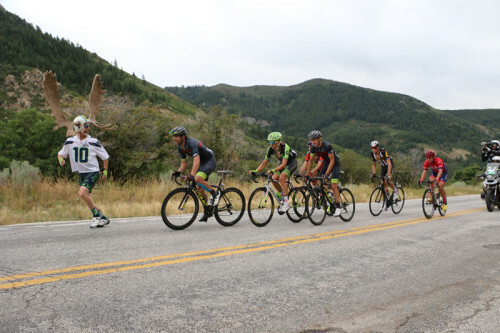 Heading through the Uinta National Forest, racers will make an inaugural climb up Wolf Creek Pass, a Category 2 climb, descending into Woodland on the way through Midway and back to Soldier Hollow.